For too many organizations, Agile is primarily seen as merely an IT delivery system. Within this archaic and limited mindset, New Product Development is so manageable with Scrum. We amble along with 30-day Sprints, a single product owner, a neat product backlog, and a collocated Scrum team. But, today’s business environment is a tsunami of global hyper competition, with companies entering and being forced off the S&P 500 every 15 years. The classic Innovator's Dilemma is now even more pressing, and quite candidly, archaic Agile is of limited use. To be competitive now, organizations need to look at the gestalt ... the entire value-stream of activities that are required to bring solutions to market. In this session, we will show concrete examples of how major organizations have innovated along the full path from product ideation to requirements to budgeting to delivery and to operations. Each part of a typical value-stream will be explored to show how agility has impacted these traditionally silo'ed functions and how forward-thinking organizations have reached the next level of performance through tight integration and agile thinking. Learn the essential steps to conquer the entire value-stream from the “fuzzy front end” of innovation, product discovery, lean experimentation, and modern requirements discovery, to pipeline management, to agile budgeting and incremental funding, to high-performance product-centric teams, and enabling agile engineering techniques. The result is the architecture of an entire organizational system that is designed to rapidly and effectively discover what customers want and delivery with utmost efficiency. Learn how to set up high performance, standing Scrum teams, with parallels to modern Lean “work cells” in order to give a deeper understanding of the principles that drive great teams, and highlight the responsibilities of those that manage and help create them. Explore the underlying agile engineering concepts necessary to implement the Lean principle of “jidoka” (or “autonomation”). Specific advice on implementing core engineering techniques such as automated build, automated testing and continuous delivery will be explored, with examples on various technology platforms illustrated through a case study from the U.S. Citizenship and Immigration Services. Traditional product management is often short on innovation and long on waste. How can you create a sustainable, flexible and innovative product delivery process that keeps you in at the forefront of your market and delights your customers? We will explore the core philosophies, techniques and responsibilities behind leading product design and management techniques from disciplines including user experience design, Lean UX and Lean Startup. Learn how to apply Lean to innovation pipeline management at the portfolio level through selecting experiments, managing multiple projects to deliver against them, and pivoting, persevering or terminating initiatives. A case study from Capital One Labs will show how these techniques can be implemented within an established enterprise. Yearly budgeting is a time-consuming and arduous process that locks us into a wasteful rigid cycle that often leads to the wrong things being done, with an illusion of control. Learn how to institute quarterly, rolling forecasts that facilitate dynamic funding. 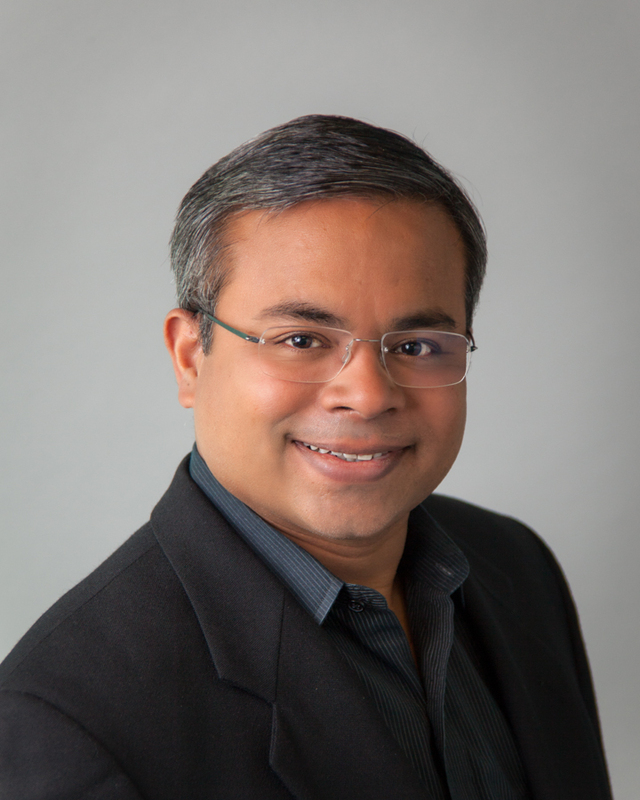 Sanjiv Augustine is the Founder of LitheSpeed, LLC, and an entrepreneur, industry-leading agile and lean expert, author, speaker, management consultant and trainer. With 27 years in the industry, Sanjiv has served as a trusted advisor over the past 17 years to executives and management at leading firms including: Capital One, The Capital Group, CNBC, Comcast, Freddie Mac, Fannie Mae, General Dynamics, HCA Healthcare, The Motley Fool, National Geographic, Nationwide Insurance, Royal Bank of Canada, Samsung and Walmart. Sanjiv is the author of the books Managing Agile Projects (Prentice Hall 2005) and Scaling Agile: A Lean JumpStart, as well as several publications including “Transitioning to Agile Project Management” and “The Lean-Agile PMO: Using Lean Thinking to Accelerate Agile Project Delivery.” He was the Chair of the Agile Alliance’s Agile Executive Forum and the founder and moderator of the Lean Startup in the Enterprise Meetup. Sanjiv was also a founder and advisory board member of the Agile Leadership Network (ALN), and a founding member of the Project Management Institute’s Agile Community of Practice. Thank you to our meeting sponsor iSphere. Free parking in adjacent parking garage. Enter facility and follow signs to the IIBA meeting room.